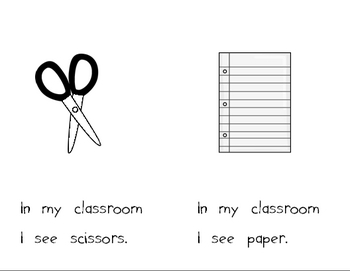 Learning to read is so important...why not teach it by adding some fun! 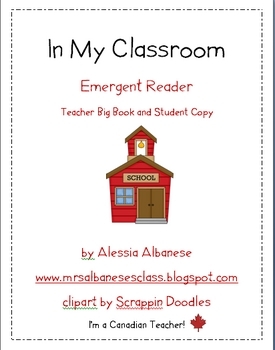 This emergent reader is an original story written by me all about things in the classroom...with a cute ending! 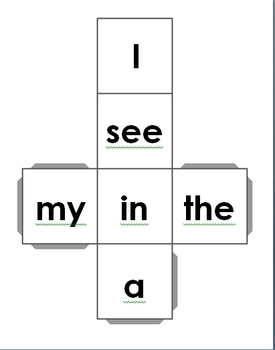 The story focuses on these sight words: I, see, a, my, the, in. 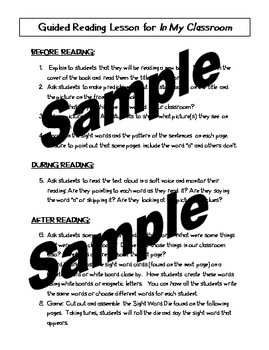 I have included a larger printable of the book (to be used as a big book for the teacher), a smaller reader for you to photocopy for each student in the group, sight word activities and lots more! A perfect resource to begin Guided/Shared Reading.